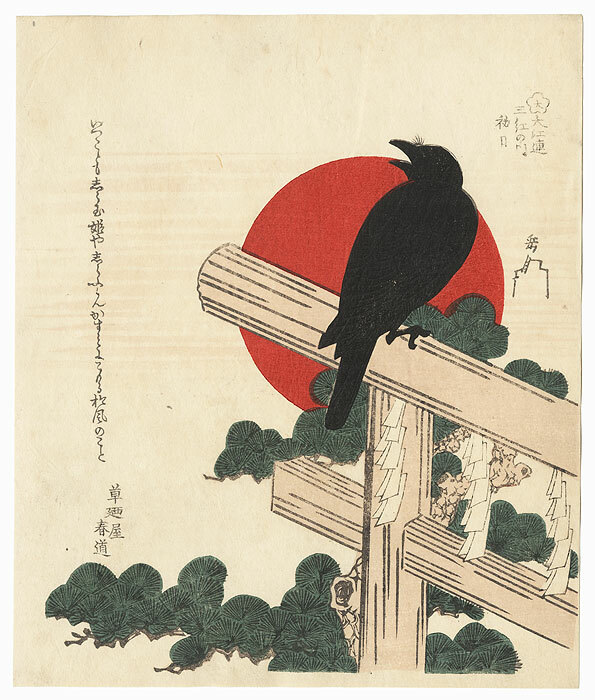 Comments - Terrific image of a crow perched on the torii gate of a shrine, with a bold red sun behind it. 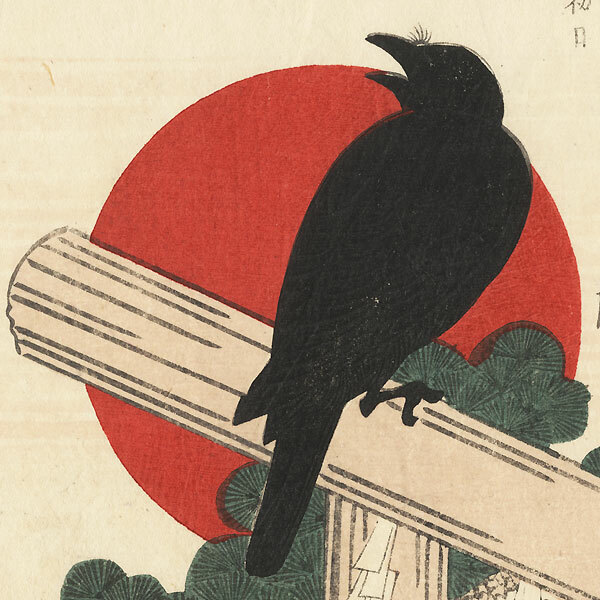 The bird is silhouetted in black against the red orb, its beak is open as it caws. A rugged pine tree with clusters of dark green needles fills the space behind the gate. 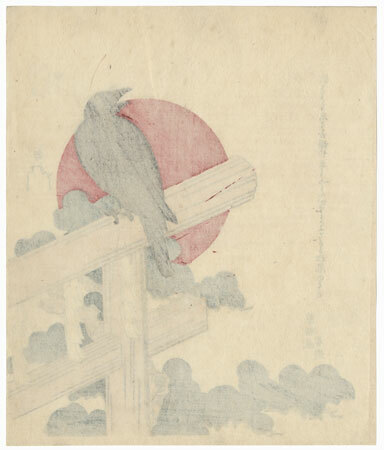 Nicely detailed with embossed feathers and embossed horizontal lines across the background behind the sun. A striking surimono design, seldom seen in reprint.